The red carpet shined bright with Motown’s historical legends Berry Gordy and Smokey Robinson making an illuminating appearance at Chicago’s premiere coverage of Motown: The Musical. Motown: The Musical is a Broadway musical about the true story of how Berry Gordy created Motown, the greatest music label in America’s history. The musical was developed from Berry Gordy’s awarding-winning (1994) autobiography, To Be Loved: The Music, the Magic, the Memories of Motown. Motown: The Musical began as Gordy’s vision to make a difference story… became everyone’s music based on the true American dream story of journey from featherweight boxer to the heavyweight music mogul who launched the careers music icons such as Diana Ross, Michael Jackson, Smokey Robinson, Temptations, Marvin Gaye to name a few. Berry Gordy got his start as a songwriter for local Detroit acts such as Jackie Wilson and The Matadors. Wilson’s single “Lonely Teardrops”, written by Gordy, became a huge success. He did not feel he made as much money as he deserved from this and other singles he wrote for Wilson. Gordy realized that the more lucrative end of the business was in producing and owning publishing. On January 12, 1959, Gordy started Tamla Records, with an $800 loan from his family and royalties earned writing for Jackie Wilson. Tamla’s first release, in the Detroit area, was Marv Johnson’s “Come to Me” (1959). Its first hit was Barrett Strong’s “Money (That’s What I Want)” (1959), which made it to number 2 in the Billboard R&B charts. Gordy founded Tamla Records several months before establishing the Motown Record Corporation. The name, motor town energized by Ford Motor Company production of U.S. made cars, drove the nickname for Detroit. Motown played an important role in the racial integration of popular music by achieving a crossover sound success. In the 1960’s, Motown’s was a driving force in taking soul music’s innovation to be known as “The Motown Sound”, a style of soul music with a distinct pop influence. Motown achieved spectacular success for a small record company with 79 records in the Billboard To Ten (1960-1969). Motown hired over 450 employees and grossed income of $20 million by the end of 1966. Motown specialized in a trademark type of soul music “The Motown Sound”. The sound was skillfully crafted with an ear towards popular music appeal. The Motown Sound typically used tambourines to accent the back beat, prominent and often melodic electric bass-guitar lines, distinctive melodic and chord structures, and a call-and-response singing style that originated in gospel music. A care detailed approach utilized orchestral string sections, charted horn sections, and carefully arranged background vocals. Motown producers believed steadfastly in the “KISS principle” (Keep it simple, stupid). In highlighting the brilliant history of Motown’s songwriting prowess of the writers and producers, one of the major factors in the widespread appeal of Motown’s music was Gordy’s practice of using a highly select and tight-knit group of studio musicians, collectively known as “The Funk Brothers”, to record the instrumental “band” tracks of a majority of Motown recordings. From 1961 to 1971, Motown dominated the musical charts with 110 top 10 hits. Motown’s label included Diana Ross & The Supremes, The Four Tops, and The Jackson 5, while Stevie Wonder, Marvin Gaye , The Marvelettes, and The Miracles released hits on the Tamla Record label. Gordy’s company operated several labels in addition to the Tamla and Motown imprints. Gordy’s first signed act was The Matadors, who changed their name to The Miracles when he signed them. Gordy named a third label after himself, featuring The Temptations, The Contours, and Martha and the Vandellas. A fourth spin-off label, V.I.P. released recording by The Velvelettes, The Spinners, The Monitors, and Chris Clark. A fifth label, “Soul”, featured Jr. Walker & the All Stars, Jimmy Ruffin, Shorty Long, The Originals, and Gladys Knight & the Pips. 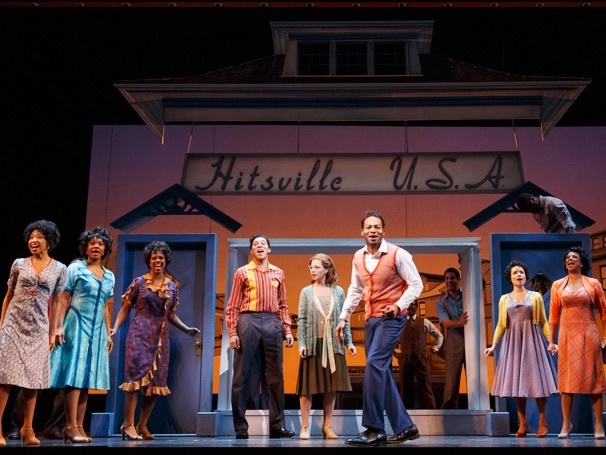 Chicago’s Motown: The Musical represented a high performance pit orchestra delivering the true Motown Sound that far exceeds any sounds on Broadway. 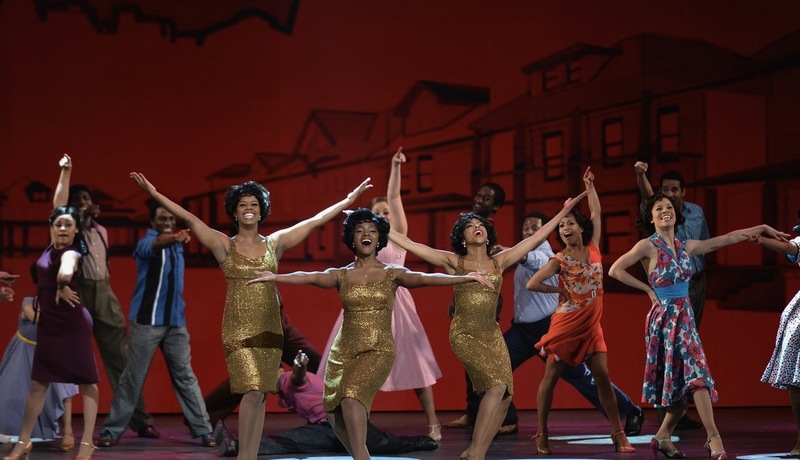 The strengths of “Chicago’s Motown: The Musical” is the memorable acting genius of the celebrity driven performers, especially Valisa LeKae’s nailing the raw emotion and icon clarity of Diana Ross, Brian Terrell Clark’s delivers a commanding performance as Marvin Gaye and Charl Brown’s spirit driven portrayal of Smokey Robinson allows the viewers a reflection back to the 1960’s “Motown Sound.” Little Michael Jackson is played by Raymond Luke, Jr. who plays a sensational version of young Jackson’s mega-star future. 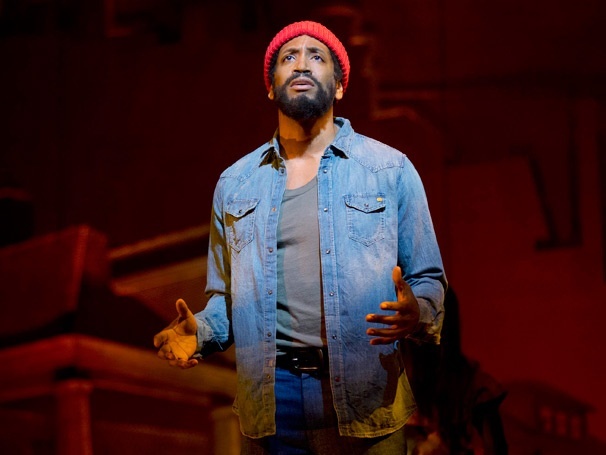 Berry Gordy played by Brandon Victor Dixon had a tough challenge capturing the many personalities of Gordy but held his own with above average singing skills and character development. 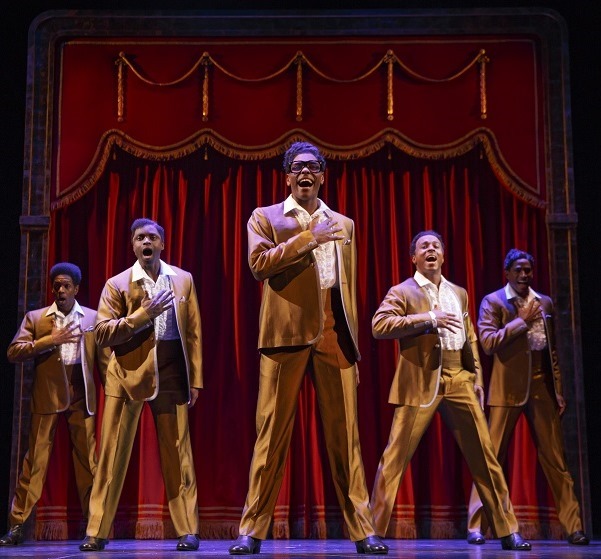 Motown: The Musical has assembled a talented ensemble of actors who play multiple Motown artists, including Eric LaJuan Summers, transcends Jackie Wilson’s flamboyant persona, showmanship, and silky smooth vocal range. 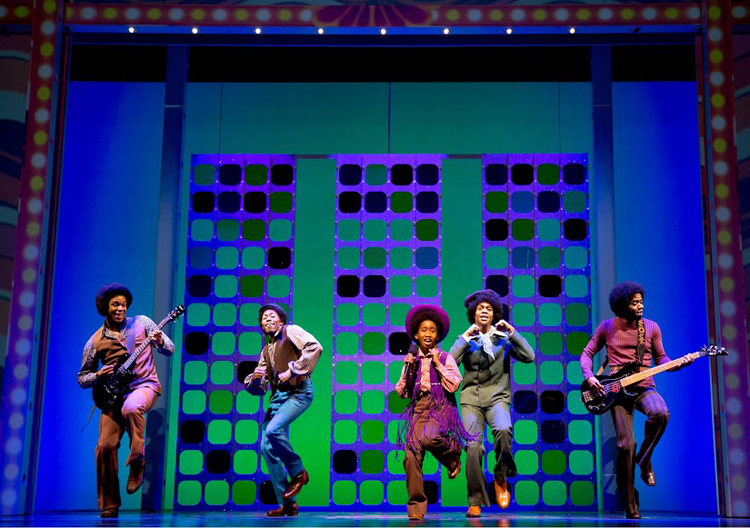 Motown: The Musical is a Broadway thrill-ride while delivering a rich history lesson about the magic of the Motown Records. Al on Marvin Gaye was and will always be the voice of a getoarnien committed to change and inner reflection. He has an enduring charisma which is unmatched by any other artist currently. His vocals are superb and his timing impeccable. Unfortunately, Marvin had a world of hurt which began with the passing of Tammi Terrel who dies suddenly at the age of 25. Marvin and Tammi were inseparable and as close as two people could get. His downward spiral really destroyed his will to live. and the last few years become more of a sad story. But in the end. Marvin is remembered more for his talent than his problems. Marvin is still missed to this day.